Call Our Office to Schedule a Consultation Today! Whether your issue is suitability, churning, insurance sales or products, or securities losses wrongfully incurred, Mr. Spiegel will assist you in understanding your options and provide appropriate legal services. Mr. Spiegel’s expertise in working with seniors and others who have been the victims of fraud, including resolving cases and collecting damages, can help you in evaluating your case, making a decision, and choosing legal alternatives. Mr. Spiegel also provides confidential consultation and expert services to lawyers, accountants, and other financial professionals. Mediation is a confidential process that requires the voluntary agreement of all the parties to the terms of the resolution. While a court or other forum can order mediation, it cannot require the parties to ultimately agree. For mediation to succeed, the parties need to know that the mediator is fair, neutral, and effective. 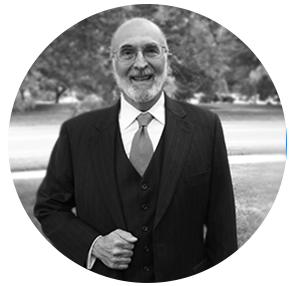 Mr. Spiegel’s extensive experience as a mediator, as well as his knowledge of the law, serves all parties well. As a mediator, he works closely with the lawyers and litigants to create outcomes satisfactory to all sides. Mr. Spiegel is a careful listener and gives full respect and attention to everyone so that a positive result is achieved. Arbitration resembles court proceedings more closely than mediation in that the parties allow an arbitrator to decide the outcome. There are regulatory requirements for some arbitrations, but many arbitrations are voluntary and can occur at any stage of a case. Unlike court cases, there is usually no appeal from the result. Arbitrations can also sometimes be less expensive than a trial. Mr. Spiegel is extremely knowledgeable about both the procedure and the substance of arbitrations. His expertise in when to use it, how to use it, how to select arbitrators, and his own ability to arbitrate a case provides clients is a valuable resolution tool. Joseph H. Spiegel offers knowledge, experience, and expertise in securities law and financial fraud that few lawyers have. His over 30 years of specialized practice, beginning in Chicago and later in Michigan, gives him expertise unique in this area. Admitted in both Michigan and Illinois, and in federal courts, Mr. Spiegel has handled broker fraud and misconduct, corporate litigation and commercial disputes, SEC Regulatory Defense, and FINRA arbitration and mediation. He has practiced before judges and juries, arbitrators, and regulatory bodies. Mr. Spiegel is your most powerful ally when it comes to recovering your losses from investment fraud and/or other wrongdoing.